It was the yacht’s profile that attracted Jeff Leco to the Greenline 40, not its quiet, clean diesel-electric hybrid propulsion. 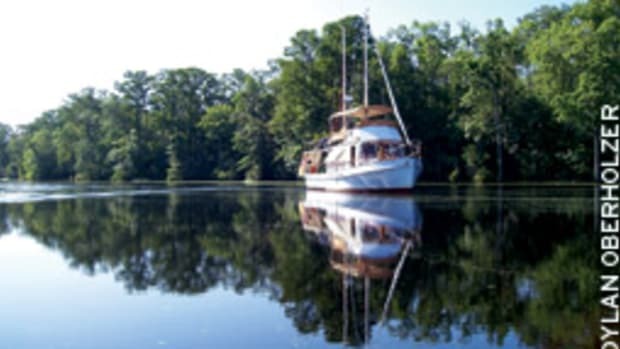 “It has sort of a light, European and slightly modern look to it without being totally austere,” says Leco, 46, of Ellicott City, Md., who uses the Slovenian-built boat on Chesapeake Bay day trips and overnights with his wife and two small children. 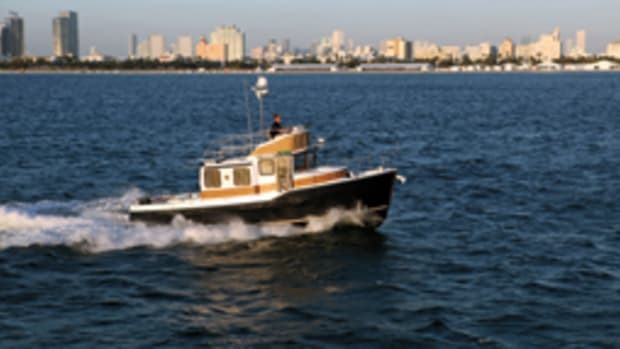 Leco is one of seven customers who have bought a Greenline from Annapolis Yacht Sales, says Tim Wilbricht, president of the Annapolis, Md., company, which has sold six 33s in addition to Leco’s 40 (www.annapolis yachtsales.com). 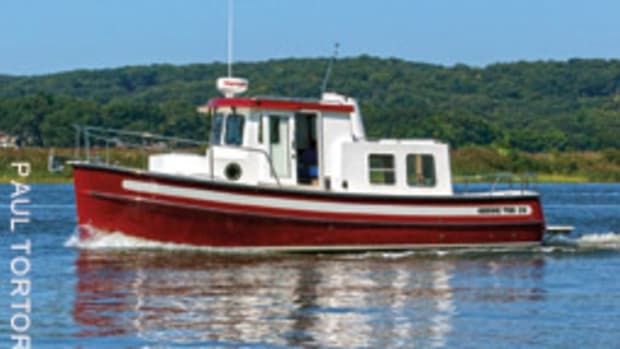 The boats, with their high freeboard, large pilothouse windows and overhanging hardtop with arches, certainly spark interest. 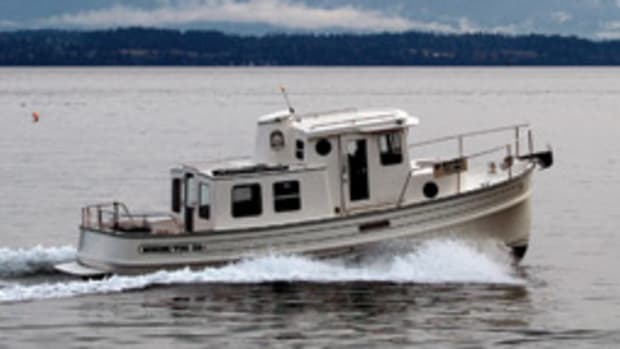 “People really like the look of the boat, first and foremost. They think it’s really cool,” Leco says. 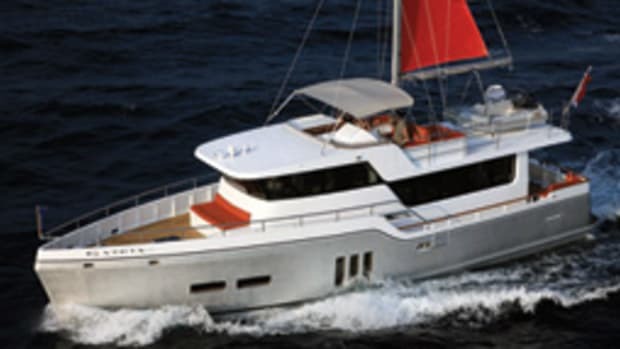 Greenline Yachts has sold 300 of its energy-efficient cruisers to owners from 40 countries and has turned its focus to the United States (www.greenline hybrid.com). 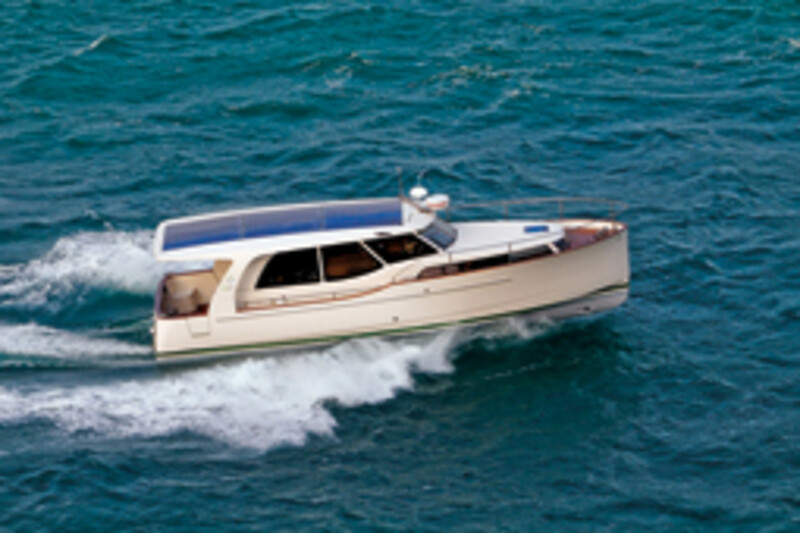 Greenline introduced a 46-footer at the Dusseldorf Boat Show in Germany in January. It hits the market in Europe in September. The 33 was on display at the Yacht & Brokerage Show in Miami Beach in February. The lithium batteries have a life expectancy of 10 years. The yacht stores electrical energy through solar panels and from the main engine-driven generator. 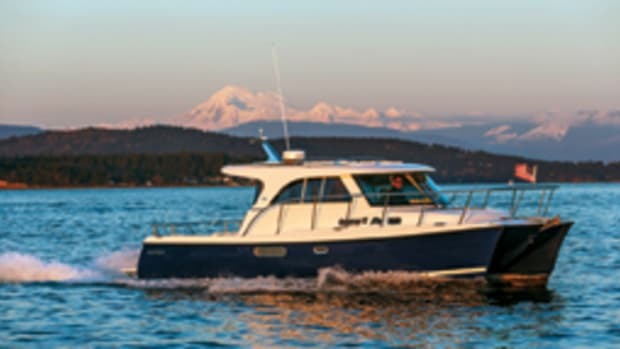 The 40, which won the Green Award in the 2012 Active Interest Media Marine Group Editor’s Choice Awards, has a range of 500 nautical miles and 20 nautical miles under electric power only. The system runs on one propulsion component at a time, and the controls are used for both electric and diesel modes. 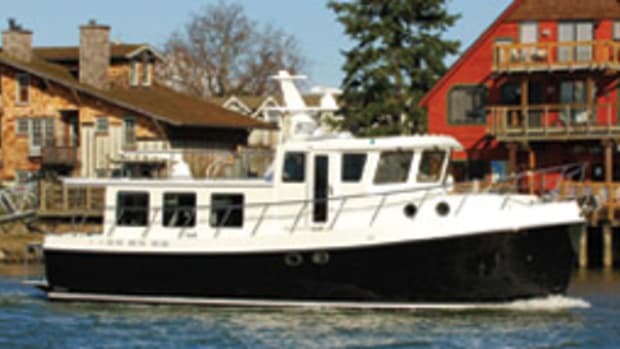 Greenline Yachts is part of the Seaway Group and its newly formed Seaway Yachts. 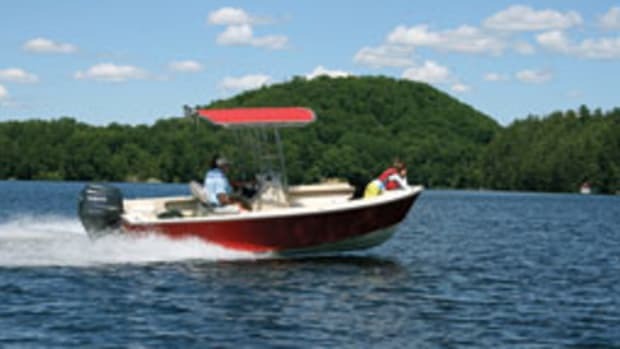 The group provides design, engineering and tooling for power- and sailboats. In addition to building Greenlines, it manufactures the Shipman line of carbon-fiber sailboats and Skagen pilothouse motoryachts. Brothers Japec and Jemej Jakopin, of J&J Design, designed the Greenline hybrid and its propulsion system. J&J has dozens of yacht designs to its credit, including Bavaria, Prestige, Monte Carlo, Salona and Zeelander. Seaway also designed the Sea Ray 370 Venture’s propulsion installation that conceals twin outboards.